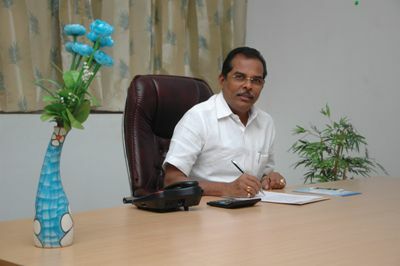 Shri.A.Nagarasan Chairman, AIMS, Thiru.A.Nagarasan was the former President of Othakkalmandapam Panchayat. During his tenure as president of the Panchayat, he has made a mark, by his welfare activities. He has with him the Midas touch to turn dross into Gold. It can rightly be claimed that he left no stone unturned. He was and is the most sought after person, when it comes to social service, throughout Tamilnadu. His single prayer and focus has ever been to promote and encourage specialized education in rural areas. There are varied challenges in today’s highly competitive markets and we have to ensure that we are ready to face them. The mark of any school lies in the quality of values it delivers to the rest of the world. These values must always be solid, professional and positive. AIMS has been set up to provide high quality education in different professional fields with focus on academic excellence and skill enhancement with holistic development for its students. It has top- class dedicated faculty and contemporary teaching methods that attract top-quality students ensuring that when the study is completed, there is the promise of the most rewarding career at the global level. "India is the largest democratic country of the world. It is a well known fact that our country requires a hugely enormous amount of technical intelligentia to fulfill the great dream of Dr. A.P.J.Abdul Kalam, who is a renowned visionary with a thoroughly professional scientific temper. I am a great follower of Dr. A.P.J. Abdul Kalam, and I strongly believe that brilliant students from our college would definitely contribute their technical expertise to enable our country to attain the status of super power by 2020."